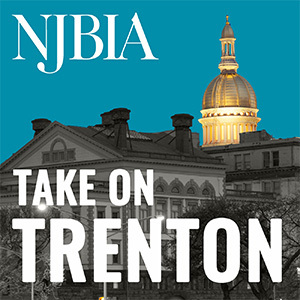 On behalf of our member companies that provide more than 1 million jobs in the state and make the New Jersey Business & Industry Association (NJBIA) the largest statewide business association in the country, we understand the goals of S-2252/A-4634 and are concerned about the cost of the program to the rate payer. Electric vehicles offer New Jersey an exciting opportunity to be a leader in developing this new technology. In addition to the potential environmental benefits, playing a vital role in bringing this new technology into the commercial mainstream could bring tremendous economic benefits to New Jersey’s innovation-based economy. The bill also, requires utilities to submit plans for the construction and long-term operation of charging stations and provides full contemporaneous recovery of their costs through a surcharge. Utilities are permitted to incorporate this into their rate base and earn profits for the life of the asset. As previously mentioned, we believe the market should drive the construction of the charging stations and should not be recovered in rate base. As you know, utilities do not operate current gas stations and they should not do so in this new market. This legislation also does not contain any protections offered in the Electric Discount and Energy Competition Act (EDECA), which if the utility sector would to be involved on some level should adhere to the provisions of EDECA. Additionally, the private market will not be able to compete with the subsidized market of the utility sector.